Patricia Kelikani, Health Journalist (Co-host): When it comes to your health, it’s okay to go a little nuts. Especially since heart disease is so prevalent in our country. Dr. Mark Reeves Surgical Oncologist (Co-Host): In fact, one-third of Americans have high LDL cholesterol—the bad kind of cholesterol. Those with high total cholesterol have twice the risk of heart disease compared to people whose cholesterol levels are under 200. KELIKANI: With heart disease being the number one killer in the United States, researchers at Loma Linda University Health advise us to go nuts with our health. DR. REEVES: Back in 1993, Loma Linda University Health made a landmark discovery that reversed the health advice from the American Heart Association. Up until then, the organization advised the public against eating nuts because of the high fat content. KELIKANI: However, Dr. Joan Sabaté discovered that adding one to two servings of nuts to our daily diets could actually cut our risk of having a heart attack in half. During the initial study, the researchers put subjects on a two-month diet known as the American Heart Association step-one diet to lower cholesterol. DR. REEVES: Half of those subjects were fed the same diet with 20 percent of the calories coming from walnuts. The following month, the groups switched. DR. REEVES: Nuts are rich in unsaturated fat— a healthy type of fat that our bodies need to reduce LDLs, the bad cholesterol in our blood. In addition, walnuts have high levels of omega-3 fatty acids. Omega-3s help lower levels of triglycerides, a type of fat in the bloodstream. But nuts are also loaded with protein. KELIKANI: For more than 20 years, Dr. Sabaté has been studying the effect of nuts on our health and summarized that one to two servings of nuts a day lowers cholesterol by 10 percent. DR. REEVES: So what are today’s health tips? Eat a handful of nuts a day to cut your risk of heart disease in half and reduce your cholesterol. KELIKANI: Other ways to incorporate nuts into your diet include topping salads with nuts instead of croutons, or adding them on pizza and pasta. There’s your tip for the day on how you can live healthier, longer. 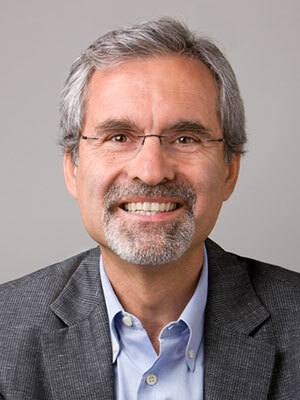 Joan Sabaté, MD, DrPH is Professor of Nutrition and Epidemiology at Loma Linda University’s School of Public Health. From Spain, Dr. Sabaté is a board certified physician in internal medicine. In 1989, he obtained the degree of Doctor of Public Health in Nutrition from Loma Linda University and became a faculty in the Department of Nutrition. From 1997 to 2013 he served as Chair of the Department.